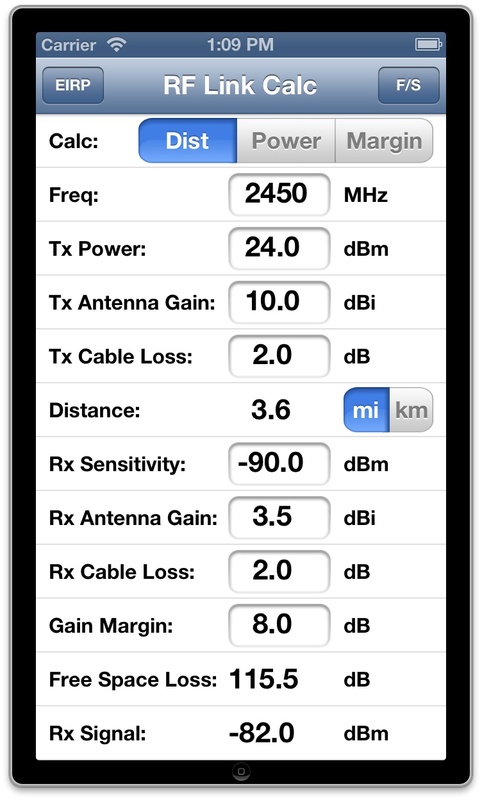 RFLinkCalc helps you determine the characteristics of an RF link, including Wireless Internet (WiFi) links. You can compute the maximum distance, required transmitter power level, or gain margin. 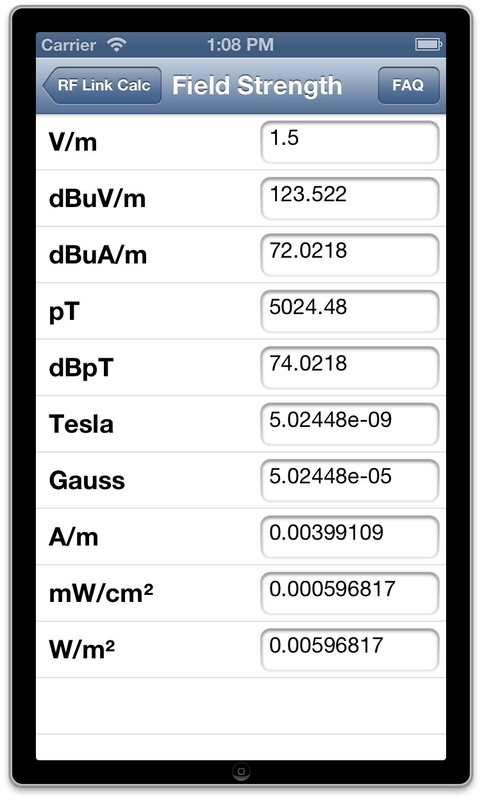 You enter in all of the following values (except what you are trying to calculate) and RFLinkCalc does the rest! The Free Space Loss and Received Signal values are also calculated. 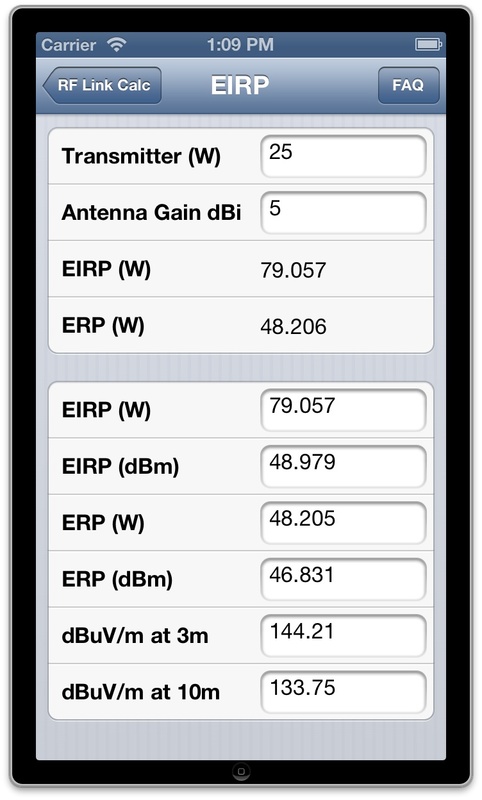 The EIRP/ERP Calculator computes the EIRP (Effective Isotropic Radiated Power) and ERP (Effective Radiated Power) in both watts and dBm from the transmitter power and antenna gain. The field strength in dBuV/m is also computed for distances of 3 and 10 meters.